If you are a startup entrepreneur working from your home, you might already have realized how challenging it is to prioritize your work and deliver desired outcomes on time. While it’s a dream of many people to work from the comfort of their home, remote workers often find it difficult to create a boundary between their personal lives and professional workspaces. There are a lot of distractions at home that often make it difficult for people to concentrate on important tasks. As a result, they lose their motivation and become less productive. Thankfully, coworking spaces are providing a great solution to this conundrum, helping startups boost their productivity and successfully embark on this wonderful journey of entrepreneurship. Coworking spaces are shared spaces that allow people from all walks of life to work under one roof. These spaces have been growing in popularity over the last few years with more and more startups realizing their benefits, and increased productivity tops the list. In fact, a global survey has also shown that 74% of people coworking in a shared environment were more productive. Another survey suggested that 70% of members working in a coworking space felt healthier than when they did working in a traditional office. So, it would not be wrong to say that coworking spaces offer a great working environment for startups looking to grow their business. Many people tend to thrive in more interactive environments, as compared to working in isolation at home or in a separate office space. Since coworking spaces encourage workers to interact with each other and make connections with people of the same interests, this helps them feel more motivated and productive. Coworking also enables startups to establish rapport and build lasting relationships with other business owners that help them throughout their career. Coworking spaces, therefore, offer networking opportunities as well. There is coworking space Toronto especially designed to offer an interactive working environment in order to make people happier and more productive. Coworking spaces help people follow a discipline of waking up on time every day and getting ready like a professional. This is something that home-based professionals really miss as they don’t have a fixed routine. It’s understandably difficult to stay focused while you are lounging on your cozy sofa in your comfy pants that is only making you lazy and sluggish. Simply getting ready in the morning offers a great motivation that keeps you vitalized throughout the day. Moreover, a few words of encouragement from coworkers also work as a great dose of refreshment required to stay up during the lazy hours. On the top of that, since there isn’t a physical “boss” at a coworking space as well, working here is just as relaxed and stress-free as working from your home or separate office space. Since coworking spaces promote interaction with like-minded people, they are able to share their knowledge and skills which helps them with their personal growth. This is something that is hard to achieve while working from your home or traditional office space. When all the people working in a coworking space are working to achieve a common goal, it gives you an opportunity to bring out your creative side and stand out. There are thousands of coworking spaces currently around the world, with more establishing each day. Moreover, it’s been anticipated that coworking spaces will become commonplace in more cities in the coming future. 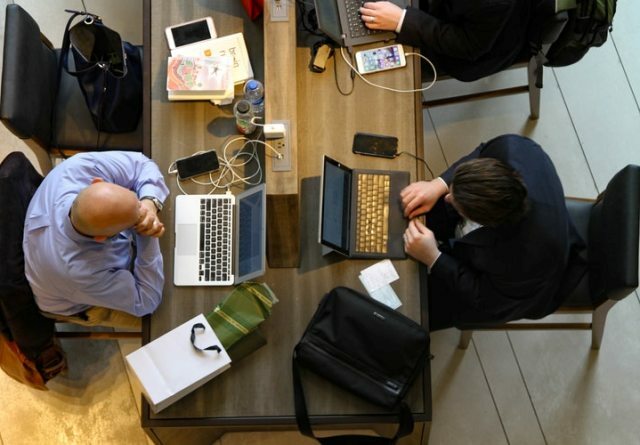 The advantages of coworking spaces are immense and this is the reason why more and more startups are taking its advantage to boost their productivity and why many remote workers have been choosing to work in these shared spaces over their homes. I hope you enjoyed this blog post about ways that coworking spaces are boosting lean startup productivity and bootstrapping business efficiency. Interested in more articles about workplace and office productivity?